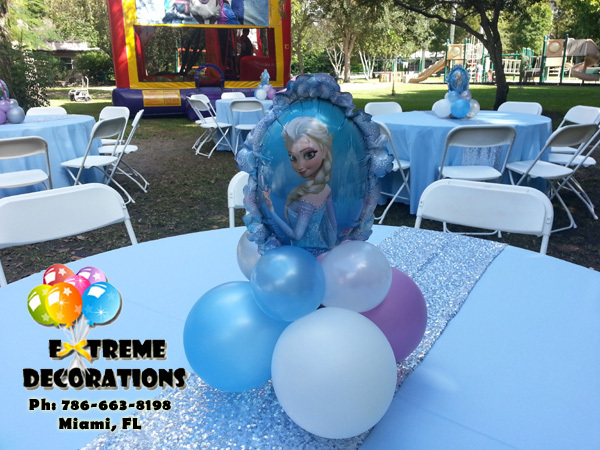 We specialize in making your party one that your kids will never forget. 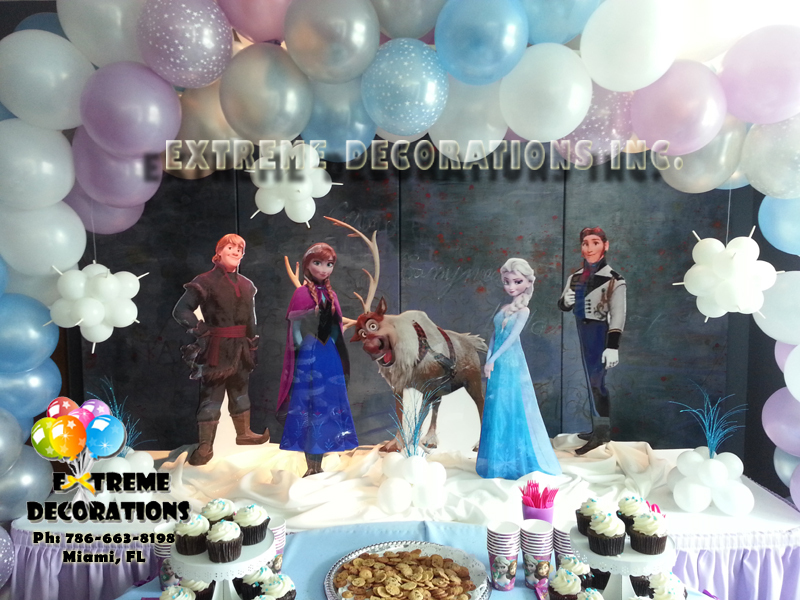 For Frozen parties, we offer different options with cake table decorations. 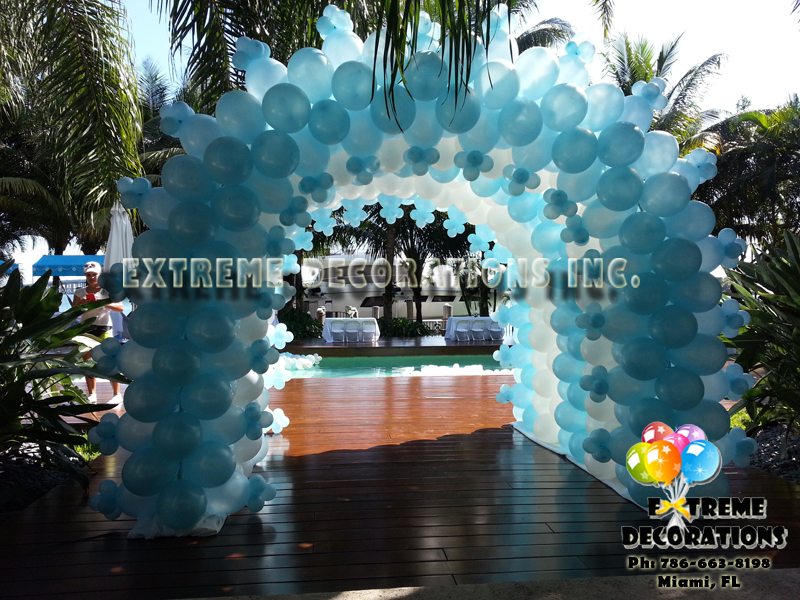 From the traditional balloon arch, to balloon wall backdrops, or more complex designs. 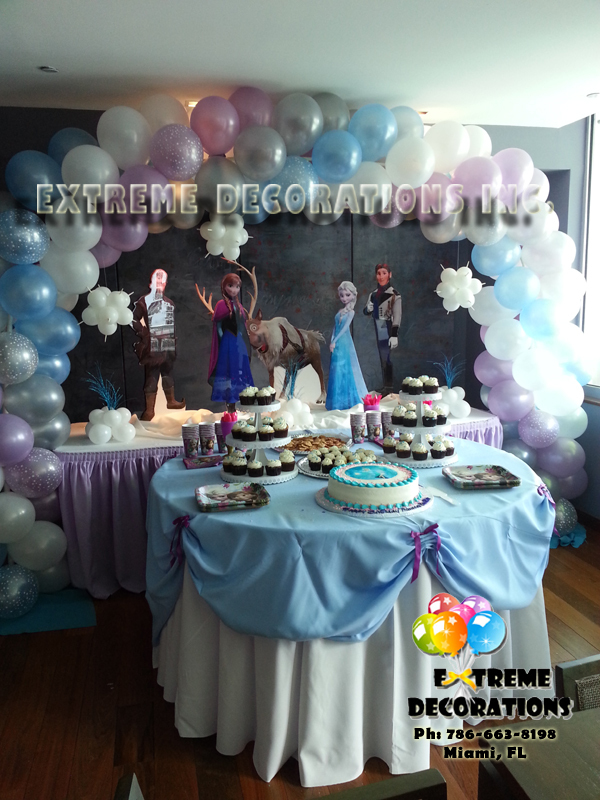 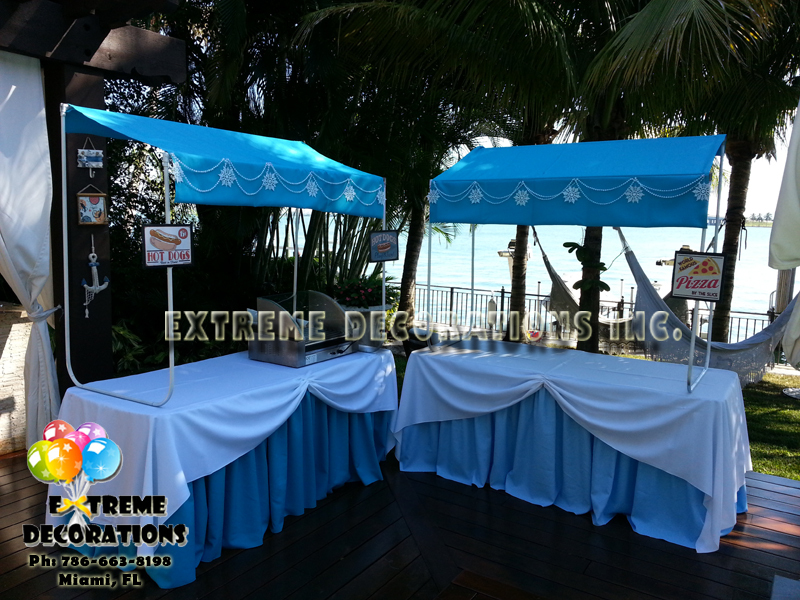 We can transform your Frozen party with a winter wonderland ambience. 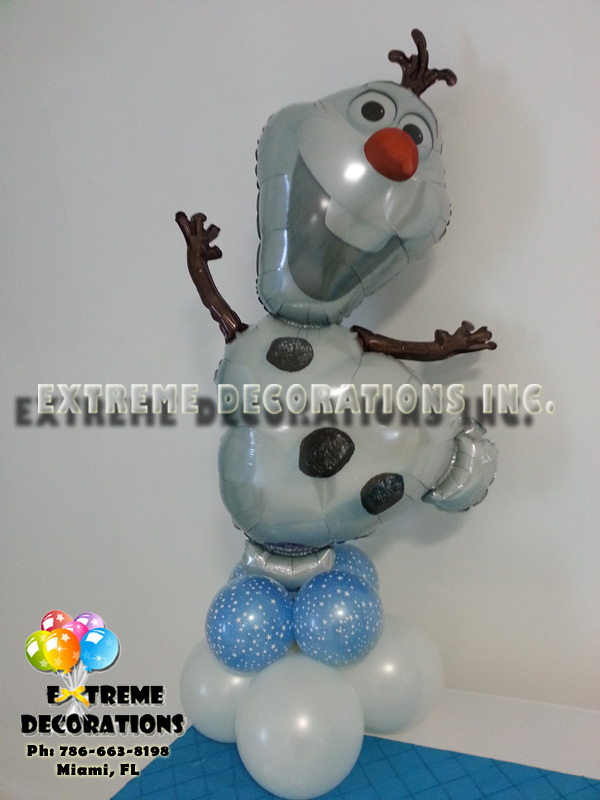 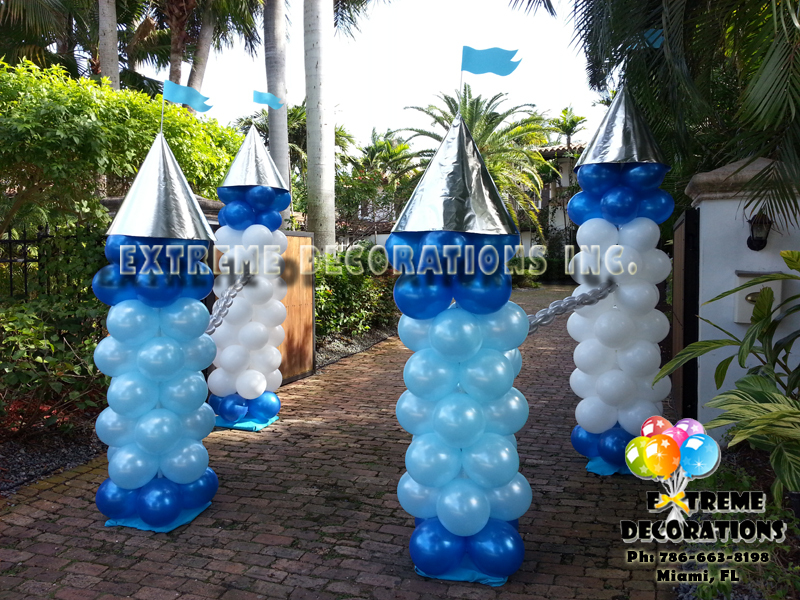 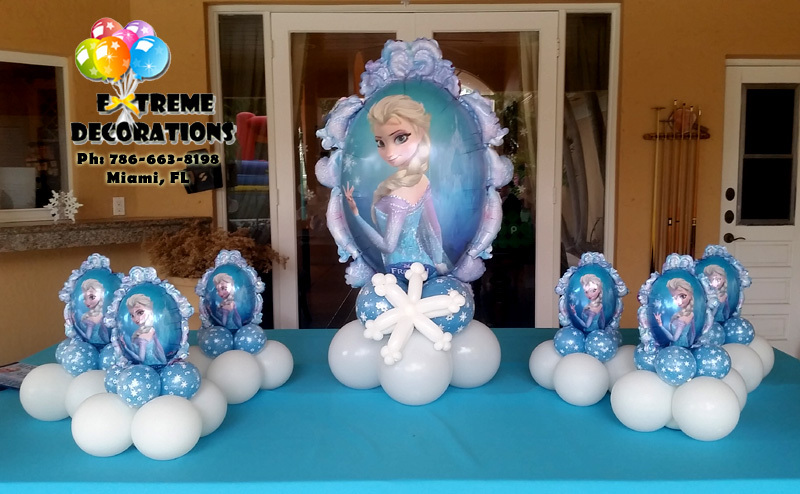 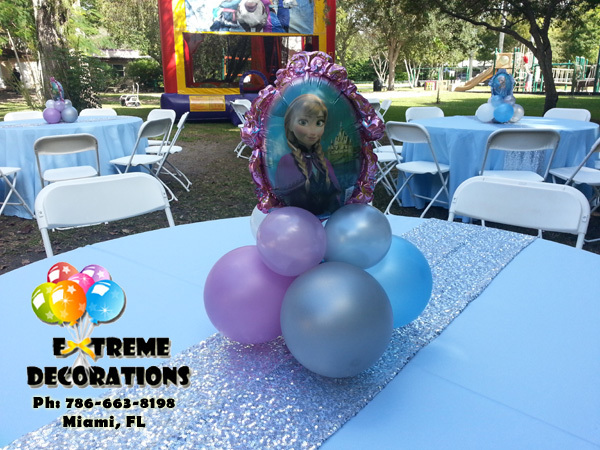 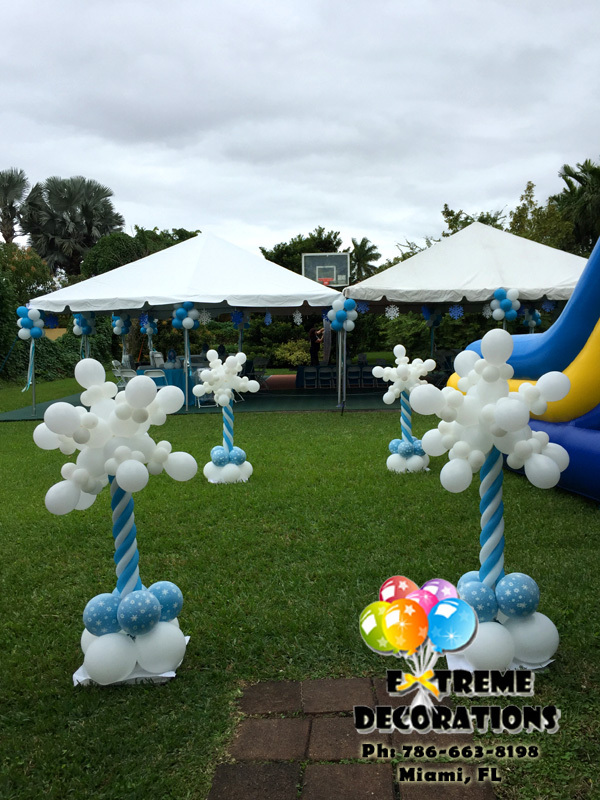 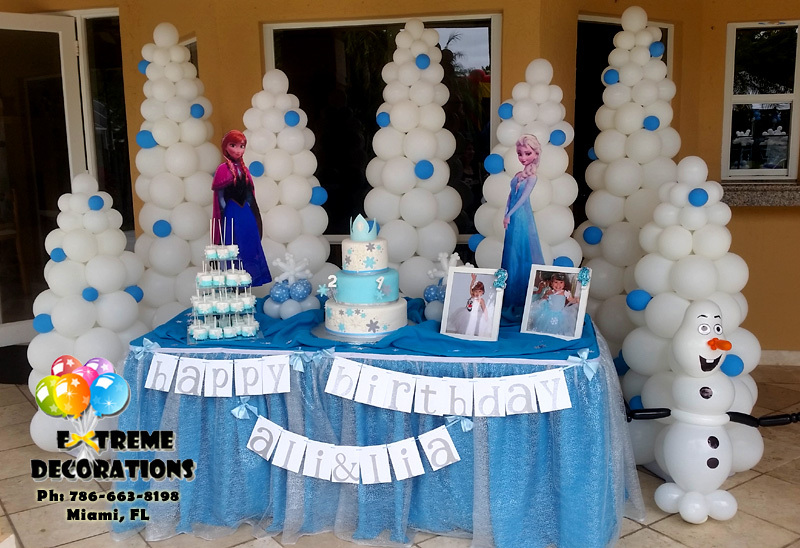 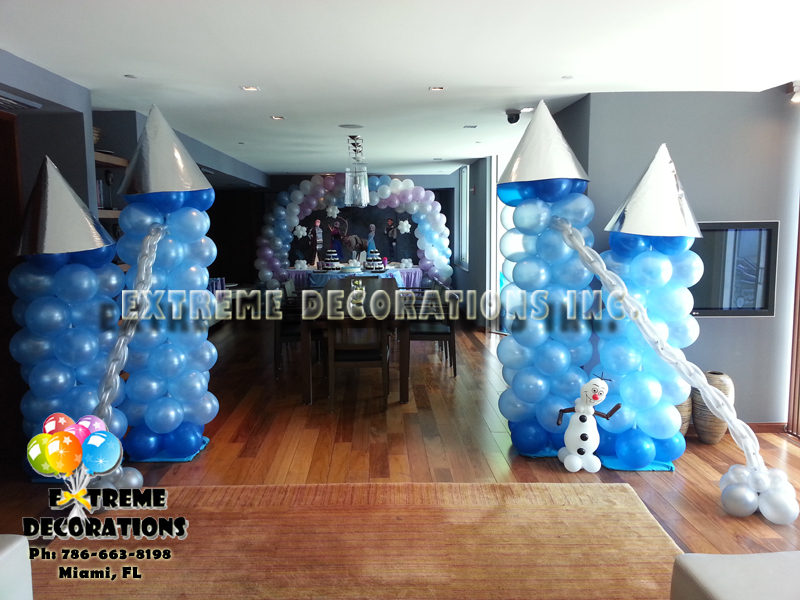 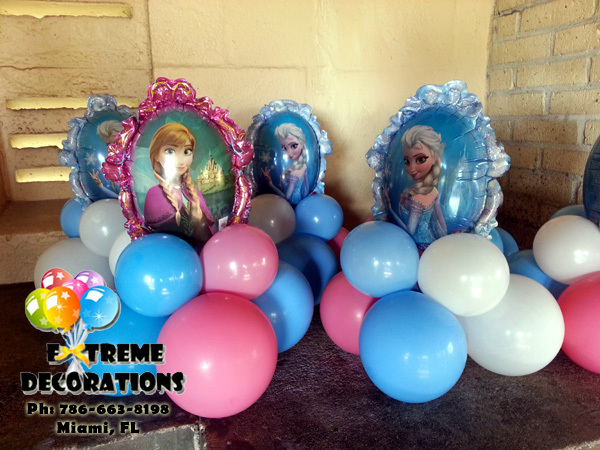 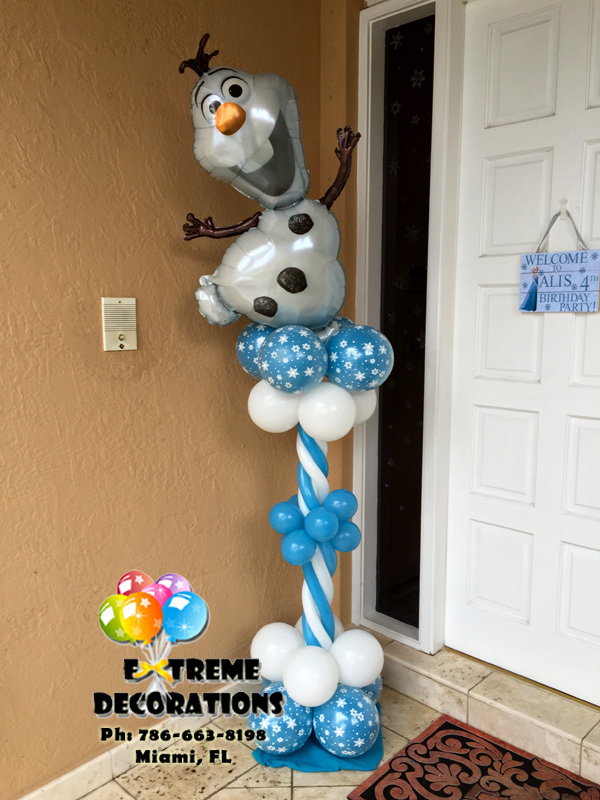 We also offer Elsa and Ana balloon columns, centerpieces, bouquets, and more. 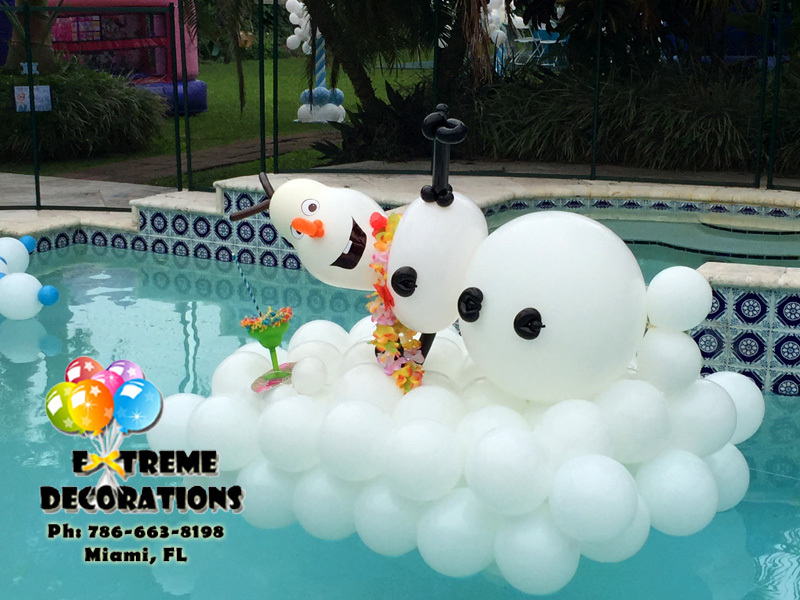 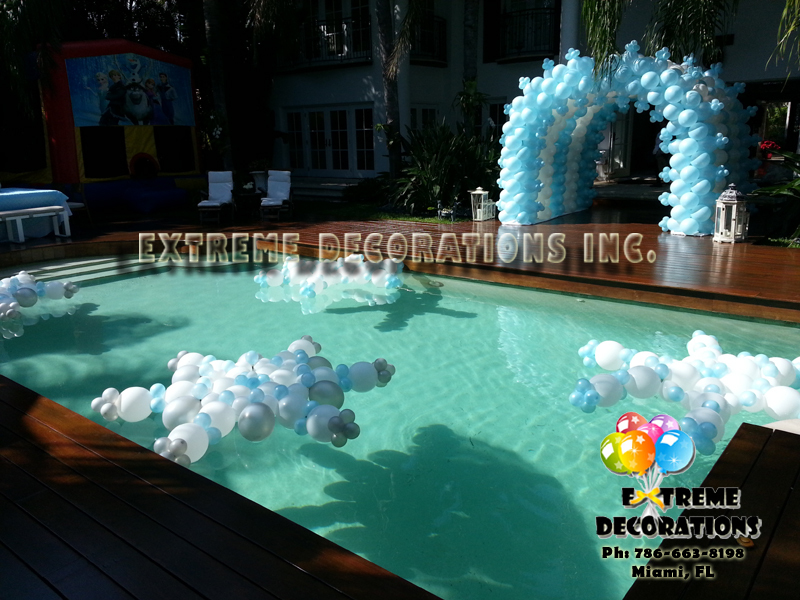 To decorate your pool, we can create a floating Olaf balloon sculpture, or perhaps add balloon snowflakes. 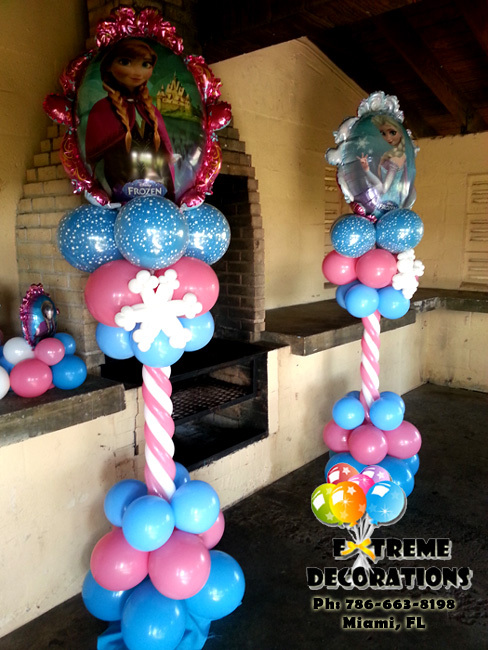 with theme, name and age.